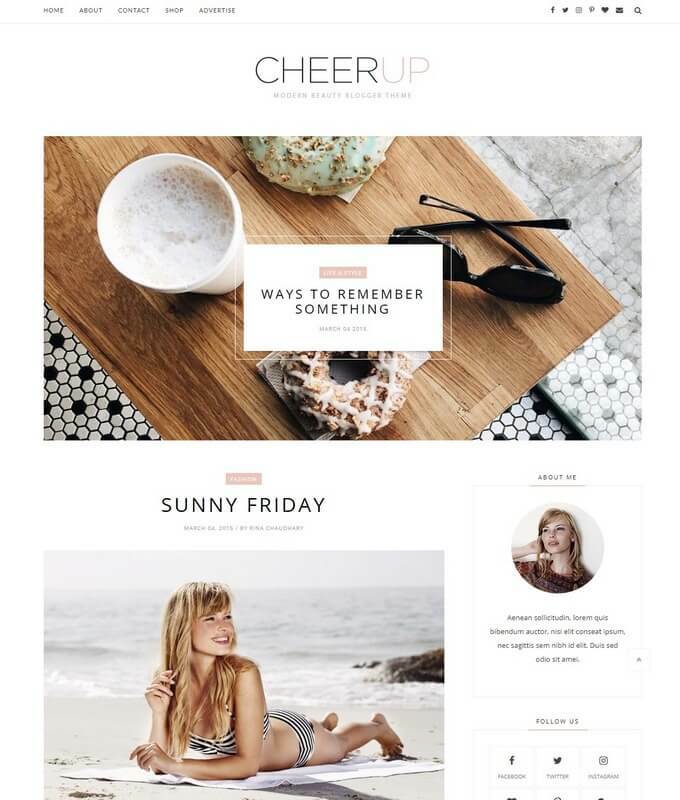 Cheerup is a stunning lifestyle photography blogger template. It is clean, elegant and minimal modern design which is suitable for lifestyle, photography and fashion models. It will present your personal blog, traveling blog, fashion and photography website. 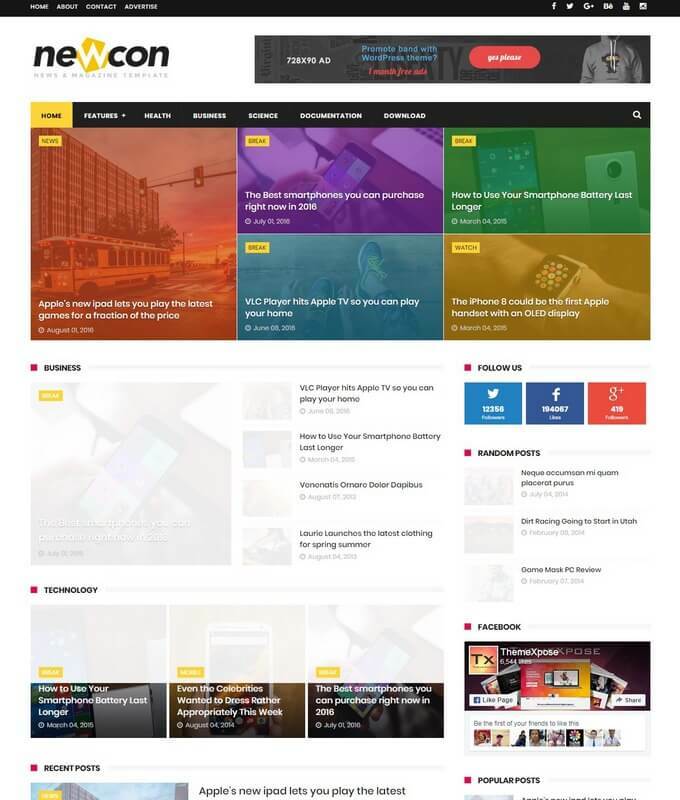 It provides gorgeous minimal clean layout that will beautify your content on any device. It has ultimate customization options that helps to create blog that you want. 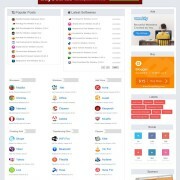 It is built by latest trending design using advanced web-elements frameworks. 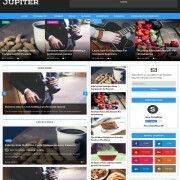 It has awesome and clear look that will make your site eyes catchy. 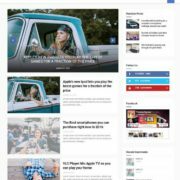 It uses Html5 and Css3 techniques which makes it a perfect fast loading theme. In addition, It is the super SEO friendly and well coded theme designed wisely. 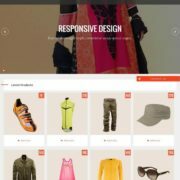 Create unique, modern fashion and photography website with Cheerup theme. Cheerup comes with multiple layouts. The default version has simple homepage layout. It consist of simple latest posts widget and one right sidebar. The second version has a slideshow which display posts in thumbnail mode. It has a modern look author widget. A new design label widget and much mores. It also integrate a professional Instagram photo gallery widget. It has a simple clean static navigation menu along with social sharing icons. Back to top button that will help to scroll up the site instantly. 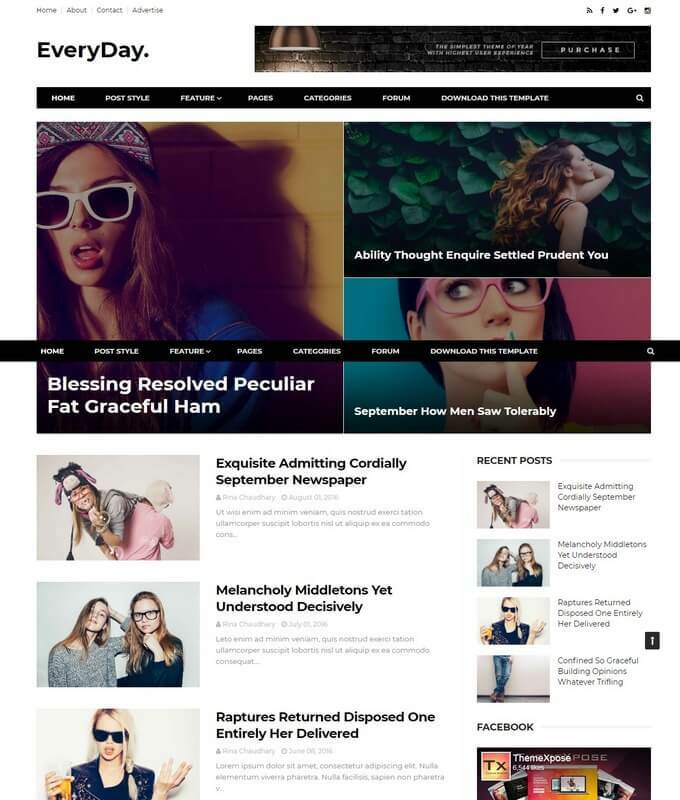 Template Style: Download Cheerup responsive blogger template. It is a clean minimalist theme ideal for fashion, traveling, personal blog, food and drinks and creative photography based website.